Time to kick 2013 off with a bang! 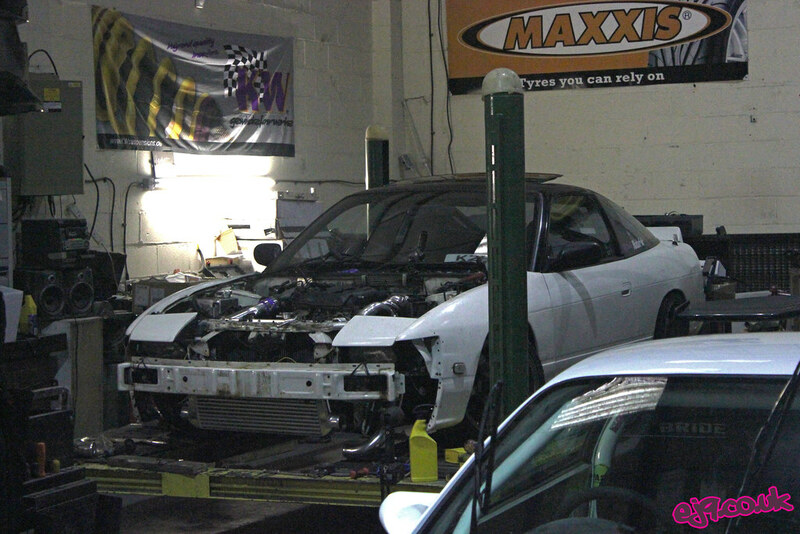 After tearing out my old, broken CA18 with Japspeed mechanic Ant we dropped the bare SR20 into its place until I could get the car into the workshop to finish off the conversion. A Friday night jaunt upon Alex Law’s “Kevin the Truck” got it there safely, although getting the ground clearance-challenged S13 off Kevin was a completely different story that culminated with the use of a forklift truck, a big plank of wood and some brave pills. After spending most of the weekend there we got the majority of the important jobs done, along with putting in some extra work to make sure everything was as strong and “low-proof” as possible (ie raising the front mount intercooler and associated pipework much higher so as to avoid smashing it on speed bumps, potholes and minor roadkill). There’s just a few more bits to do but they’ll have to wait until after the Autosport International show this weekend.